In our Semi-Solid Manufacturing Department, capable of handling batch sizes of up to a ton, production takes place in vessels with closed transfer system capabilities and equipped with automatic in place washing and cleaning (CIP - Cleaning in Place) systems. In this explosion proof (ex-proof), modern production line, manufacturing conditions are being continuously monitored through computer-supported systems, thus ensuring superior product quality at every stage. 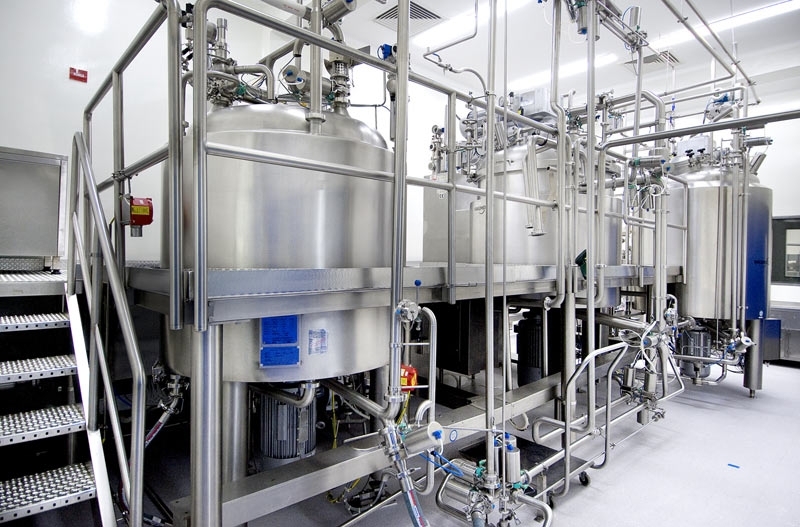 This installation that enables high-speed production of semi-solid forms such as creams, ointments and gels is uninterruptedly connected downstream with a tube filling, cartoning, casing and palletizing line equipped with track and trace systems (2D Data Matrix).